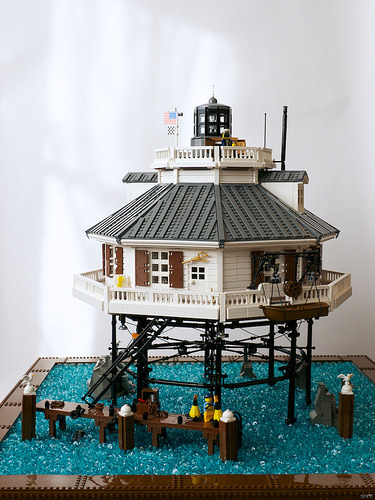 The amount of details and level of realism in this lighthouse by Casper (Neverroads) is a rare sight to behold. From the way the angles come together in this octagonal structure to the complex matrix of supports underneath, the whole build took 6 months to bring to perfection. It also features 4 rooms and an attic, which you can see photos of in the builder’s Flickr gallery.